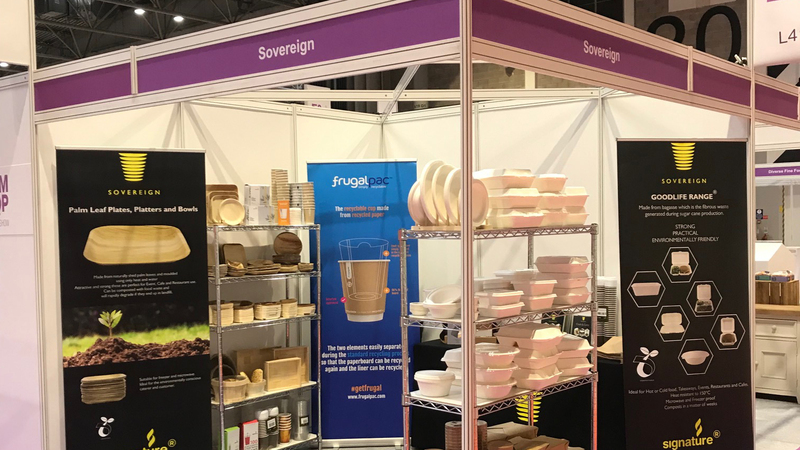 Frugalpac has joined Sovereign at the Farm Shop & Deli Show 2019 to introduce its customers to our innovative Frugal Cup. According to a report by the World Wildlife Fund (WWF) and Eunomia Research & Consulting, the UK is set to throw away a third more single-use coffee cups than at present by 2030. Consisting of two elements that separate so both the paperboard and food grade liner can be easily recycled, the Frugal Cup offers an environmentally-friendly solution for cafes and consumers seeking an alternative to non-recyclable disposable cups. Come and try the cup out for yourself at stand L41!